The consolidation of the Natuzzi Editions brand in Europe continues successfully. 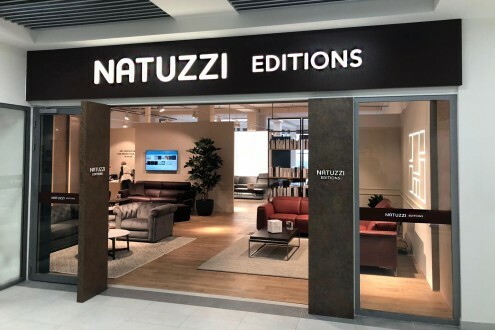 After the opening of Cardiff and Glasgow, the brand marks a new encore, this time in Bohemian land where two stores have been inaugurated in Prague and Brno. Both stores, the first opened in the Czech Republic, boast an area of about 300 square meters and are located within two shopping centers listed among the main shopping destinations of the country. The two new stores are added to the 13 galleries already present in the nation.